The GAA has had a meeting in Wellington with CAA Board Chairman Nigel Gould and Director Graeme Harris. One of the topics was the length of time it takes to achieve a rule change. On his whiteboard, the Director drew a triangle which had the airline sector at the top, commercial GA in the middle and recreational GA at the base. He explained that the CAA would generally give priority to rule changes affecting airlines and commercial GA and that, due to limited resources, matters affecting recreational GA would sometimes continue to languish at the bottom of the pyramid. In October 2014, GAA co-principal Des Lines filed a petition for a general exemption to enable charity flights. The exemption would apply to those flights where a passenger has paid for the flight via the purchase of a raffle ticket or auction prize, in aid of a charitable purpose. Where the flight is offered for raffle or auction, 100% of the funds would have to go to the charitable purpose with no reward, payment or cost recovery to the pilot, any crew member, aircraft owner or operator. We suspect that many pilots will have donated such flights to community based events; however, in doing so, they have committed an offence under the current Rules because this is regarded as “hire and reward”. Despite frequent enquiries over the last four years to check on progress, this petition still remains at the bottom of the rule-making pyramid. It could remain there for another 10 years or more. In contrast, the UK CAA received a similar petition from its GA pilots at about the same time and had the change implemented by August 2015. We also pointed out that the CAA has no media communications office. It simply has no means of telling its story to the public or to customers, or promulgating changes to CAA policy, apart from Vector magazine (used principally for safety related items), an opt-in update service and the CAA website. The Authority currently relies on its website, and in particular its automated notification service, to distribute news. It recommends that people subscribe to the notification service to receive updates on any changes or news that may be of interest to them. In our experience, nobody consults the awful CAA website unless they are looking for something in particular – and being able to find it is another matter. A case in point is an exemption signed by the Director back in January 2018, which exempts any person who holds a PPL issued under Part 61 and wants to exercise the privileges of a RPL from having to apply for a specific RPL licence. After having a NZTA DL9 medical and sending a copy of the DL9 form to CAA Licensing, the pilot is deemed to be using the privileges of a lower licence. Did the CAA personally tell you about that? Since January 2014, persons who hold a pilot licence issued under Part 61 who may wish to operate a model aircraft on or within 4 km of an aerodrome are exempted from the requirement in Civil Aviation Rule CAR 101.205(a)(3) that a person must not operate a model aircraft on or within 4 km of an aerodrome unless the person is the holder of, or under the direct supervision of the holder of, a pilot qualification issued by a model aircraft association approved by the Director. The GAA believes that changes which could affect GA pilots should be the subject of an article in the Vector magazine and/or by a regular news bulletin emailed via the CAA notification system, as CASA has been doing in recent times. CASA uses these bulletins very effectively to communicate with its GA clients. In 2017, it issued bulletins advising pilots of changes to PPL medical requirements and another change which permits pilots flying commercial operations without passengers, such as aerial agriculture and flight training, to only require a Class 2 medical certificate rather than the more restrictive Class 1 certificate. Yet another major concession gained from the CAA at the beginning of the year, but not widely publicised, is that a pilot holding a current instructor rating is permitted to exercise the privileges of that instructor rating on a PPL or a RPL. The proviso is that the instructor is not permitted to make a charge for his P in C time. The instructor can, however, legitimately charge for the ground time taken up in a pre-flight briefing and a post-flight de-briefing. We asked why it was taking so long to progress the colour vision deficiency issue. 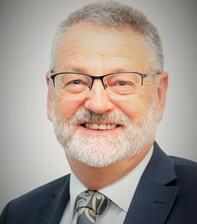 Back in January of this year, the Director wrote to a number of other ICAO regulatory authorities to ask, in particular, whether any decision to adopt the proposal could have an impact on existing Air Services agreements for the operation of New Zealand-registered airline operations to, from, or within their jurisdiction. Apparently, replies have taken some time to get back, even though a response was requested by 1 March. The Director was hopeful of getting something out in the next few weeks and perhaps having a new GD in place by the end of the year. We will be following developments closely.